Today (55468) two more planets were announced orbiting the star Gliese 581, one of which is only three times as heavy as earth and orbiting in the "Goldilocks zone" where liquid water, and therefore life as we know it, can exist. In fact, one astronomer believes that "chances of life on this planet are 100 percent." This seems like a ridiculous thing to say, since we only have one data point so far, which is not enough to determine probabilities. Just because life might be possible does not make it certain, and there are still too many variables which we do not know. The planet is the sixth to be discovered around this red dwarf star, which is about 20 light-years (190 terameters) away from us, and called Gliese 581g. This is what bugs me. The six planets are lettered b-g, and the parent star is letter a. This is how astronomers name extrasolar planets. The first object in another system is named a, which is always a star, the second object, which may or may not also be a star, is lettered b, and so on. But it's not supposed to be that way! Any sci-fi fan knows that planets are numbered in order from the parent star, which always has a pronounceable name. For instance, earth, the third planet from the sun, is Sol III. Khan was marooned on the fifth planet of a star, Ceti Alpha V, shortly before the sixth planet, Ceti Alpha VI, was destroyed. It's not that bad that they use letters instead of numbers, but the letters do not distinguish between stars and planets, and go in order of discovery, which usually relates to size, rather than distance. How stars, themselves, are named is much more complicated, and more often have just letters and numbers than proper names. Of course, it has to be that way. There are hundreds of billions of stars in the Milky Way, only a few thousand of which are visible to the naked eye from earth. Only the brightest of these have short names. Up to a couple of dozen per constellation have a name that is a Greek letter combined with the name of the constellation, like Alpha Centauri, which is actually a binary star, the components being lettered A and B. (Proxima Centauri, the closest star to us, may or may not be part of the same system, so it is sometimes called Alpha Centauri C.) There are various other naming schemes, some based upon star catalogues such as the Gliese Catalogue of Nearby Stars, which lists nearly a thousand stars that are within 20 parsecs (617 petameters). Stars often have multiple names, e.g. Alpha Centauri is also called Rigil Kent or Toliman, as well as various other designations. It is currently impossible to name extrasolar planets based upon orbital order, since we cannot see all of the ones that might be orbiting a given star. So the best we can do is to name them as we find them, which necessarily means that they are named in order of discovery. In our own solar system, we have proper names for all the planets. The six innermost have been known since prehistory, long before it was known what they actually were, so there is no order of discovery, although we could order them by apparent brightness. If we make the sun Sol a, then earth could be Sol b, Venus Sol c, Jupiter Sol d, Mars Sol e, Saturn Sol f, and Mercury, which is hard to see even at its brightest, Sol g.
One advantage of this system is that discovering a new planet would not require renaming known planets. If a planet was discovered between Sol IV (Mars) and Sol V (Jupiter), then it would become Sol V and Jupiter would become Sol VI. This actually happened a couple of hundred years ago, when Ceres was discovered, although now Ceres is classified as an asteroid or dwarf planet. The first planet discovered in modern times, Uranus, would be Sol h, and Ceres would be Sol i. But due to our vantage in the inner solar system, the last major planet, Neptune, was discovered after several minor planets, which were later reclassified as asteroids. We all know that Pluto was likewise demoted from major planet to dwarf planet. As we find more and more planets, such distinctions will become even more arbitrary, but they will tend to be discovered in order of size and named in that order, rendering it moot. Of course, nothing precludes us from switching to the other system once we discover warp drive. If we were to colonize extrasolar planets, we would find proper names for them and their parent stars, and at the same time we could refer to their orbital number, just as we call earth Sol III. We use what is convenient for now, but in the future something else may be more convenient. If you use use the Salut et Fraternité iOS app or have the "Romme" option set in the Calendrier app, or simply follow the French Republican Calendar using Romme's proposed reform, then you can celebrate today, 22 September 2010 (55461), as the first day of the new year, CCXIX (219). 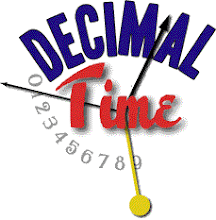 According to Romme's proposal, a leap day is added to the end of years divisible by four. Brumaire, maker of S&F, adds the leap day to the end of the previous year. Since 219 is neither one of these, there is no leap day, and therefore today is a new year. However, if you use the original rule, which was the only one ever legally in effect, the new year starts at midnight on the day when the autumnal equinox occurs in Paris. The equinox occurs tonight at 20:09 my time, which is 03:09 GMT (55462.13111). France is currently two hours ahead of GMT, so that would be 5 h 9 in Paris, but actually the law specifies temps vrai de Paris (Paris apparent time), which today is about 16 or 17 minutes ahead of Greenwich, so the equinox is around 23 sept. 2010 à 3 h 25 t.v.P., or 142 decimal minutes past local apparent midnight. Anyway, that means that tomorrow, 23 September (55462), is without doubt the first day of the new year, which means that today is a leap day, the sixth (sextile) complementary day, the Day of Revolution. It is already tomorrow (summer time) in the eastern hemisphere, so whichever day you celebrate, bonne année ! Primidi 1er Vendémiaire an CCXIX à 9hd 86md t.m.P. Julian Date Calculator is an iPhone app by CosmoWerx, aka Milan Battelino. Currently at version 1.3, it costs 99 cents in the App Store. As the name indicates, this app calculates Julian Dates, which count the days since the beginning of the Julian Period, 4713 BCE, including the decimal time from noon UTC (GMT). To convert any (Coordinated) Universal Time and calendar date to a Julian Date, first enter the time on the picker and tap the date to change it, or vice versa. You may also tap the "UTC Now!" button to get the current UTC time and Julian Date, which generates a loud "ping!" sound.. However, you have to convert between local and UTC time yourself. To convert a Julian Date to a calendar date and UTC time, simply tap on the Julian Date and a number pad will pop up, allowing you to edit the field, then tap the "Done" button to convert. You can also select and copy the Julian Date to paste into another app. Selecting any of these will display a description of what they are. The last two are second counts, rather than day counts. RAMSES Time is new to me, and is explained as the number of seconds since the beginning of 2000, MJD 51544.0, developed by the Swedish Space Corporation. There is also an iPad version, named Julian Date Converter, for $1.99, which shows all the decimal dates and times at once, including GPS Time. The moon is half full in the evening sky, setting around midnight, which means that it's been about a week since the lunar holidays of Rosh Hashanah and Eid. (The origin of the seven-day week may be related to the four phases of the moon.) Soon there will be more holidays. The tenth day of the Jewish month Tishri is Yom Kippur, the Day of Atonement, which begins at sundown on Friday, 17 September (55456/7). Last year, Stephen Colbert played my wife calling his "Atone Phone" on his show. Shame on you, Stephen, shame on you! Note that the sixth (sextile) day is a leap day, which occurs because there are 366 days in between this year's and last year's equinoxes. Those who use a fixed rule to determine leap years do not recognize that there is a leap day this year, and observe Wednesday, 22 September, as the first day of the year CCXIX (219) and of the month of Vendémiaire. Those who follow the original rule of equinoxes observe the new year on Thursday, 23 September, since the equinox occurs 3.435 hours, or 1.43 decimal hours, after apparent midnight in Paris on this day. There should be a beautiful full moon this new year! Decadi 30 Fructidor an CCXVIII à 4hd 85md t.m.P. I was looking for information about la fête de la raison, the Day of Reason, or Festival of Reason, which Wikipedia says was another name for one of the complementary days, or Sansculotides, in the French Republican Calendar, Opinion Day, which falls on 20 September (MJD 55459) this year. However, I cannot find an original source for this, and the Wikipedia article on the Cult of Reason and other sources state that it was instead held once, on 20 Brumaire, Year II (10 November 1793, JD 2376253/4), and the organizers were guillotined a few months later. There is also a US National Day of Reason on the first Thursday of May, which is unrelated, but really cool. BTW, shana tova 5771 and Eid Saeed! Tridi 23 Fructidor an CCXVIII à 4hd 42md t.m.P. There will be a lunar conjunction on 8 September 2010 (MJD 55447.4375), which means that the moon will pass between the earth and the sun, which happens about once a month. This is also known as an astronomical new moon, although traditionally a new moon is usually observed about a day later, when the crescent moon first becomes visible in the evening sky. In lunar calendars, this crescent moon marks the beginning of a new month. One such calendar is the Hebrew or Jewish calendar. Sunset on 8 September will mark the beginning of the month of Tishrei and Jewish year 5771, and the holy day of Rosh Hashanah. Although the Jewish calendar has months based upon the phases of the moon, it keeps track of the seasons by sometimes adding a thirteenth month to the year, since the solar year is about eleven or twelve days longer than twelve months. Another lunar calendar is the Muslim calendar. The crescent new moon marks the end of the holy month of Ramadan, and the feast of Eid ul-Fitr. The Muslim calendar is not predetermined, but based rather upon actual observations of the moon, so that while it is expected to occur around 10 September, it may be a day or two before or after, and varies from place to place, depending upon local observers. Unlike the Jewish calendar, the Muslim calendar does not keep track of the seasons and always has exactly twelve months in a year, so Ramadan comes about eleven days earlier every Gregorian year. The French Republican calendar, used during the French Revolution, begins each year on the day this equinox occurs in Paris, which is in the eastern hemisphere, so by this rule Republican year CCXIX begins on 23 September, which means that a leap day must be added to the end of the current year CCXVIII. However, the calendar has not been in official use since 1805, and some people use different leap year methods to determine the beginning of the calendar year. Brumaire uses a rule similar to the Gregorian calendar, but since historically the years III, VII and XI were leap years, the leap day is usually inserted at the end of the year previous to one divisible by four. That means that there is none this year (218), and in the Salute et Fraternité app the year CCXIX begins on 22 September 2010 instead of 23 September. The Calendrier app offers a choice of two different rules, either the original equinoctial rule which starts the year on 23 September, or the Gregorian-style rule proposed by Gilbert Romme during the Revolution, which starts the year on 22 September. Octidi 18 Fructidor an CCXVIII à 9hd t.m.P.